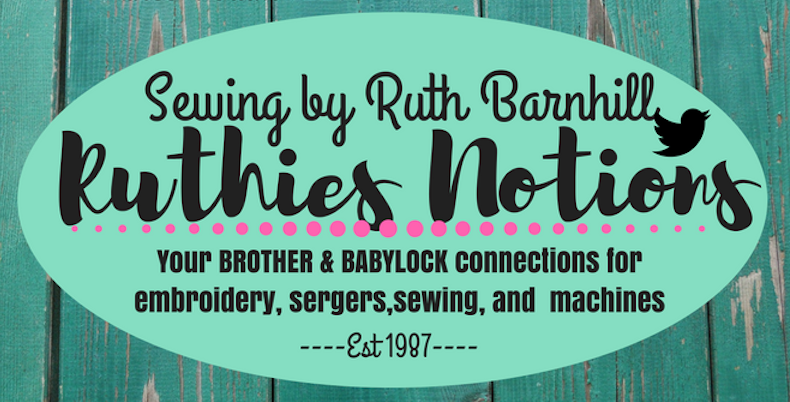 If you are looking for something exciting to do and live in Niceville / Bluewater Bay, consider taking embroidery classes at Ruthies Notions. Whether you come with your guild members or on your own, there are many classes to choose from, a lot to learn, and plenty of fun to be had. Are you new to embroidery and sewing, or perhaps purchased a Brother or Baby Lock serger or a multi-needle embroidery machine but are afraid to use it? Have no fear because with our Niceville sewing training classes you will learn all you need to know to take your machine out of the box and begin creating some of the exquisite designs you dreamed of when you first purchased it. Embroidery and sewing machines today come loaded with so many features and options that it can all seem quite overwhelming. Learning on your own does not always work very well. What you need is to join others in one of Niceville embroidery events and receive expert guidance. These embroidery and sewing classes are perfect for everyone, from newbies to seasoned professionals. At Niceville embroidery events, you will meet others who are experiencing the same challenges you are with the support of seasoned Brother and Babylock instructors who will guide you every step of the way. Machine embroidery manufacturers always recommend taking refresher or beginner classes to enhance what you already know and get the most from your machine. You can bring along your own machine, or – if you don’t have one – you can sample a machine at the event. We will provide you with everything you need to complete a project. If you have been wondering for a while about enhancing your sewing skills, now is the time to do it. You will learn all there is to know about embroidery, sewing, heat transfer vinyl and applique techniques at Niceville embroidery training. You will learn exactly what you need in order to take your expertise to the next level. There’s much fun and profit in knowing how to do embroidery and sewing well. But, it has to start somewhere. To get off on the right foot, you need to know the right techniques for creating projects with the wow factor. If you have been watching others create those exquisite designs, now is your chance to learn how to do that for yourself. Isn’t it a good feeling when you know you’ve just brought your craft to new heights? Your instructors will show you how to use easy-to-follow techniques for stand-out design modification. You won’t need to start from scratch and we’ll show you how to keep it all organized, too. There are so many projects to get started on when you come to our embroidery events near Niceville. Learn how to use your Baby Lock or Brother embroidery machine to ensure beautiful results every time. We have tons of ideas you will want to get started on; embroidering kitchen towels, pillowcases, kids clothes, and more. So, relax and bring your Baby Lock machine along for a class you will long remember. 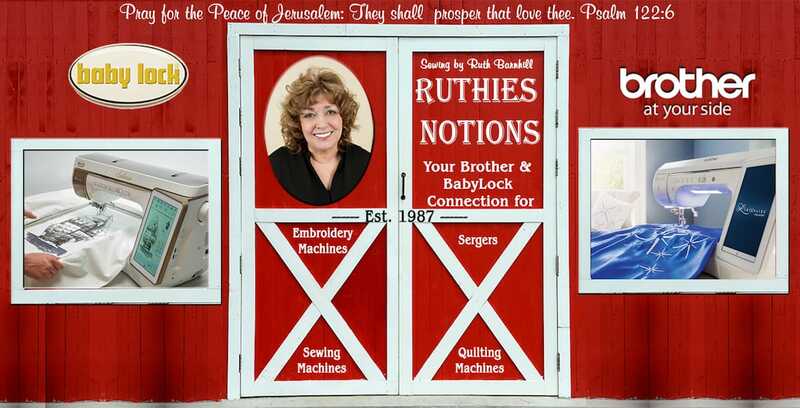 If you have been searching for Niceville sewing and embroidery training near you, look no further than Ruthies Notions. We will help you pick the right thread and fabric, how to work with stabilizer, easy hooping, and much more. If you don’t have a machine yet, we can show you what to look for to make sure you purchase the right one. Join the fun at our embroidery events near Niceville / Bluewater Bay. It is only a short drive to our shop. You will wonder why you waited so long.